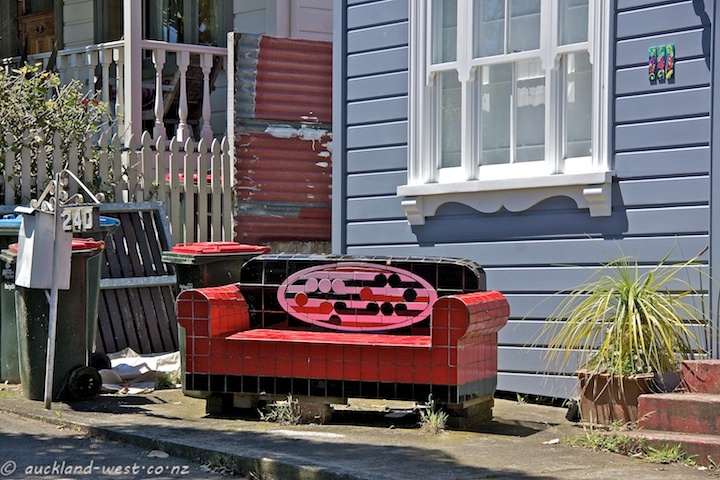 If you drive along Richmond Road towards Ponsonby, you can’t miss this eyecatching couch. I don’t know if there is a story waiting to be told about it. The koru motif seen on the back rest, a traditional pattern in Maori art (inspired by the shape of fern fronds), was brought into prominence by the artist Gordon Walters.